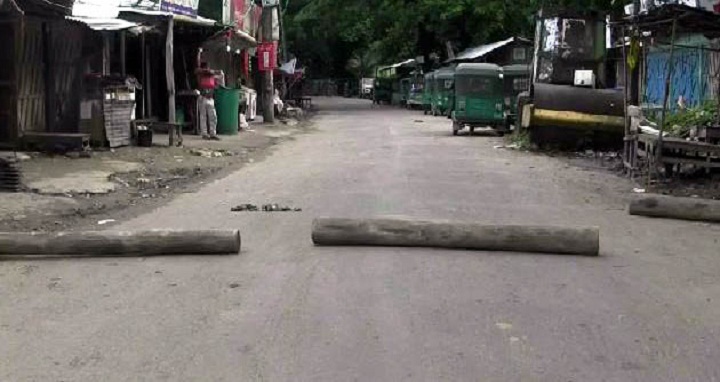 Dhaka, 10 July, Abnews: A dawn-to-dusk strike enforced by ‘Nabbya Mukhoshdhari Protirod Committee’ demanding rescue of 16 abducted villagers is going on in Naniarchar upazila of the hilly district on Tuesday. Vehicular movement on both internal and long routes as well as waterways remained off in the upazila since the morning. The picketers also blocked the roads by flaming tyres and felling trees on the roads. Additional law enforcement officials have been deployed to beef up security in the upazila headquarter.